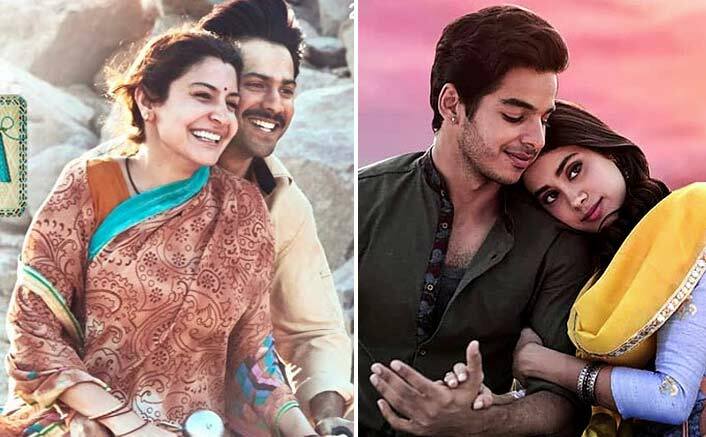 Sui Dhaaga Box Office: The Varun Dhawan and Anushka Sharma starrer Sui Dhaaga has been performing well at the box office till now. Directed by Sharat Katariya, the film has been loved by the audiences and people are loving the simplicity of it. It has managed to do good for Varun and not break his record. As the film has become a hit, another feather has been added to Varun’s cap. The hit machine Varun has added another successful film in his kitty. Well, that’s something huge! Apart from doing good for Varun, the film has also is in the favour of the makers. It currently stands at the 12th position in the list and has already surpassed Dhadak (105.48%) in it. Sui Dhaaga celebrates a beautiful and positive story of love, entrepreneurship and equality and it has been loved by audiences for its simplicity in storytelling and outstanding acting performances. The YRF family entertainer is riding on excellent reviews from critics and extraordinarily positive audience word of mouth. The film is looking to have an excellent week one as a solid hold is on the cards. A film about finding love and respect through self-reliance, the film’s lead cast, Varun and Anushka have been hugely lauded by the critics and audiences for their excellent and heart touching acting as innocent village folks Mauji and Mamta who dream big to start their own business together. The post Sui Dhaaga Box Office: This Varun Dhawan Starrer Enters The List Of Profitable Films Of 2018; Beats A Film appeared first on Koimoi. October Box Office: This Varun Dhawan Starrer Remains Stable In Its 3rd Week!